You are going to Watch Youkai Watch Episode 10 English subbed online free episodes with HQ / high quality. 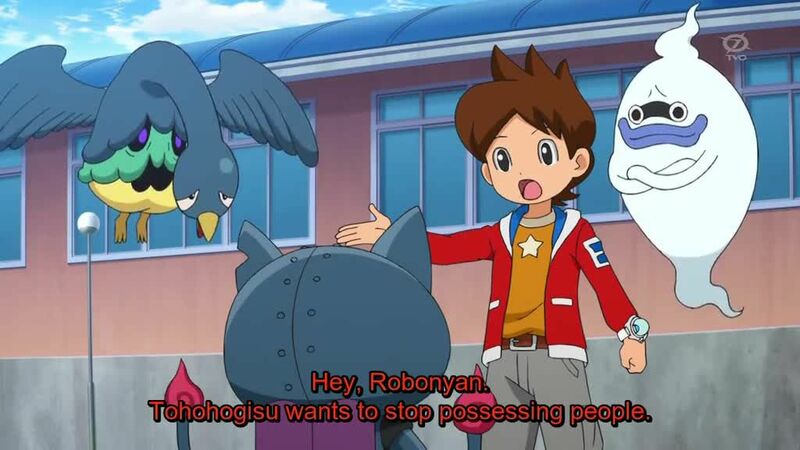 Stream Anime Youkai Watch Episode 10 Online English sub Komasan: The First Meeting. Komasan soon begins to realize that Komajiro is adapting to city life much faster than he anticipated, even picking up city lingo. After a spate of bad luck, Keita discovers he is being possessed by the Yo-Kai Tohohogisu, but she just needs his help to get back on her own feet. After Keita has befriended several Yo-Kai, the Yo-Kai Dictionary summons the samurai and Legend Yo-Kai Bushinyan to his aid.